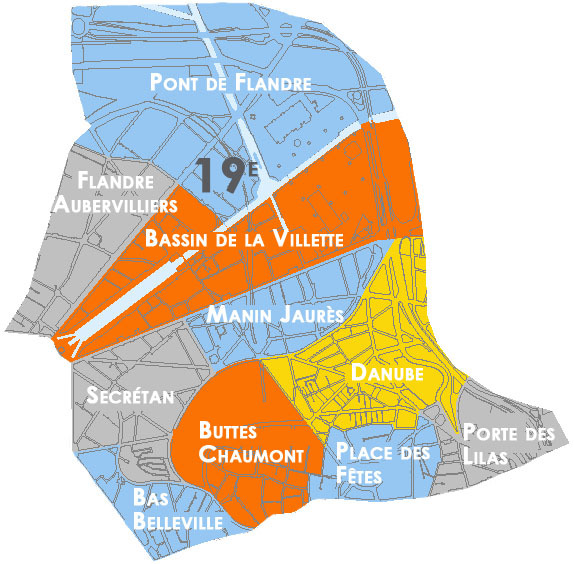 Crossed by the Bassin of la Villette and the Ourcq Canal, the 19th arrondissement is a working class area. 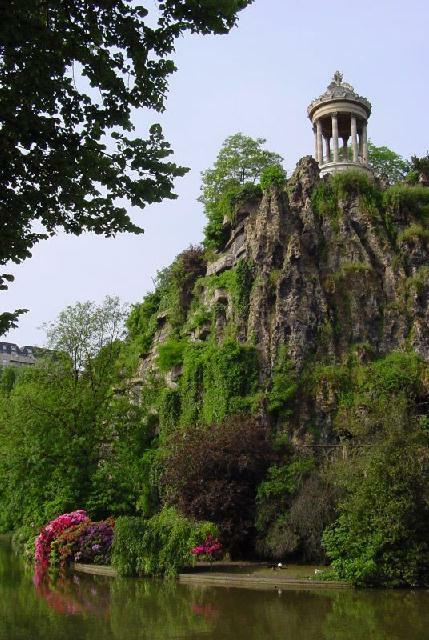 The Buttes Chaumont parc, build in the 19th century is a beautiful garden. In the upper part of the 19th district behind Place des Fêtes, you can still find little houses and little streets. The Cité des Sciences et de l'Industrie, the Grande Halle de la Villette are placed on one part and another of the Ourq Canal in a huge parc. The Cité de la musique and the National Music Conservatory are both in the 19th arrondissement. The 19th arrondissement also houses the Robert Debré hospital. The purchase price of m² is currently around 7 200 €. A few theaters and the concert hall Zenith. Lycées Diderot, Georges Brassens, Hector Guimard, Henri Bergson and Jacquard. Marché Villette, marché Jean Jaurès, marché Joinville, marché Porte d'Aubervilliers, marché Place des Fêtes, marché Porte Brunet, marché Crimée Curial.